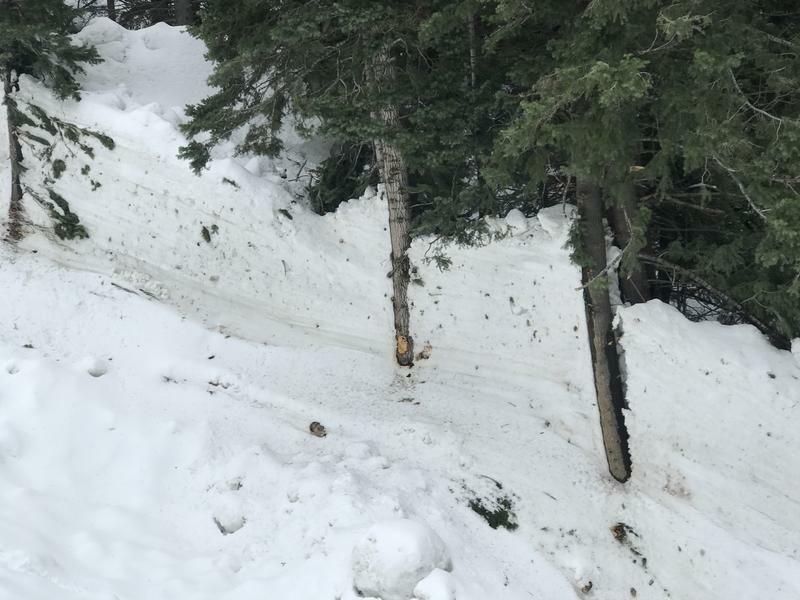 Took some photos of a large natural avalanche in the Memorials from 4/8-10 timeframe -- likely from the lower elevation rain. The slide came from 5, 6 or 7 (in the S-N numbering) or a combination of those 3. The debris pile gouged the drainage below the waterfall deeply and left an impressive pile of snow well into the forest.